Hart Motorsport are please to announce that we have over 20 new Altaya/ IXO rally cars back in stock. 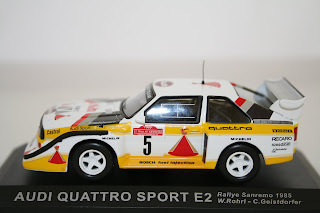 All are 1:43 scale models and are mounted on a black display stand with a perspex cover. These models represent some of the greatest rally cars ever seen, listed below are a few of our favorites. Please visit our shop below for these models plus 100's more. Back in stock are the following two Colin McRae Rally Cars. 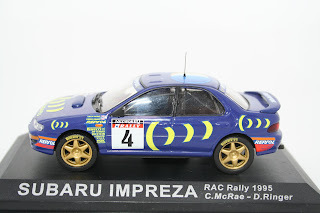 We sold out of the latest Colin McRae model to be released in less than 24 hours but we are expecting re stocks of the IXO 2006 Citroen Xsara WRC in the near future. Please visit our web site below for details on these models plus other McRae models before they are sold out too!